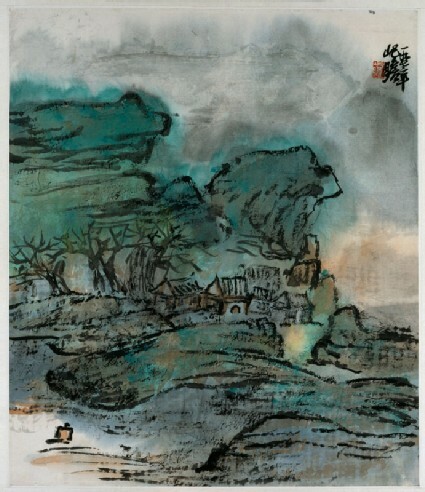 Zhu Qizhan's three stated aims in painting are independence, force (or strength) and succinctness. This sketchy yet vivid landscape in his own style appears to embody these ideals. Zhu Qizhan was from Taicang, Jiangsu province, but lived and worked in Shanghai. He is one of the major artists of the 20th century. 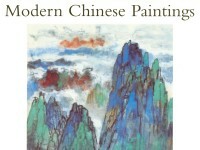 He studied in Japan and from his 20s until his 50s painted in oils as well as the Chinese medium. Zhu’s three stated aims in painting are independence, strength and succinctness. This sketchy yet vivid landscape in his own style appears to embody these ideals.